Each December the Becket Fund for Religious Liberty calls out a person or organization that tries to take religion out of the holidays. 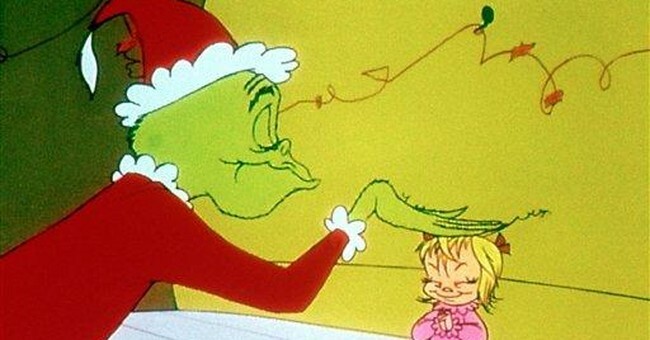 This year’s “winner” of “The Ebenezer Award” is the American Humanist Association, which has been quite the Grinch, attempting stop public school children from volunteering for a program that sends care packages to other kids in need. AHA went to court in Colorado in an effort to put an end to the distribution of the care packages, which also include religious messages about the meaning of Christmas. The non-profit that coordinates the volunteers and sends the boxes, Operation Christmas Child, has been offending the AHA for years.? The perpetrator of good deeds asks volunteers to pack shoe boxes for children of various age groups with items including stuffed animals, small toys, school supplies, and basic hygiene items like toothpaste and soap. Since 1993, Operation Christmas Child has provided more than 100 million shoebox gifts to children in more than 130 countries.? AHA has been on a crusade to stop public school children from volunteering for such programs since 2013,?when they sent “letters of warning” to school districts in Colorado and South Carolina where Operation Christmas Child was invited into public schools. “We’re talking about school children putting together care packages for other children who are in need. If we can’t support that at Christmas, we are truly living in Scrooge’s world,” said Arriaga.